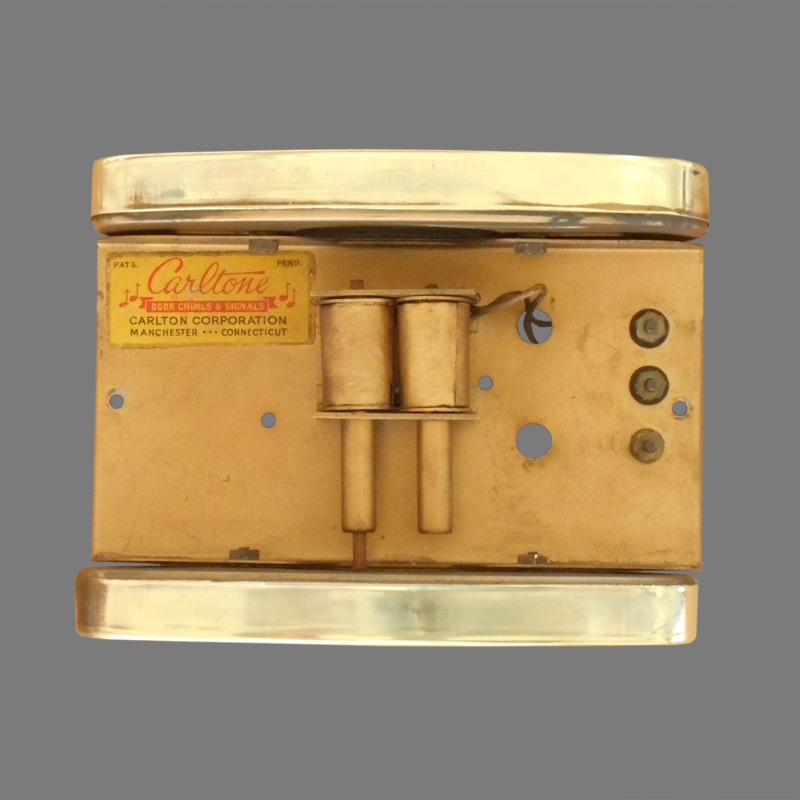 This door chime was manufactured by the Carlton Manufacturing Company of Manchester, Connecticut. Carltone was almost certainly named for Carlton L. McMullen of Hartford, Connecticut who was granted a United States Design Patent for this chime in 1940. 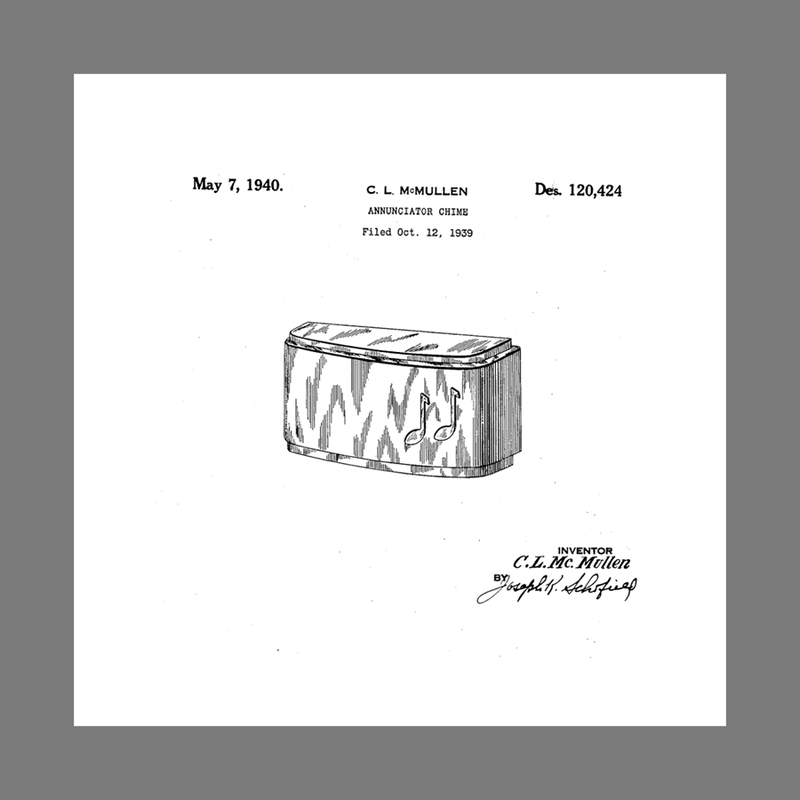 Since the label on this chime indicates a patent pending, this example is assumed to be from 1939. This chime has two piece resonators quite similar to the Faraday Model 585. While this Carltone has a horizontal orientation, the similar Faraday models were vertical. 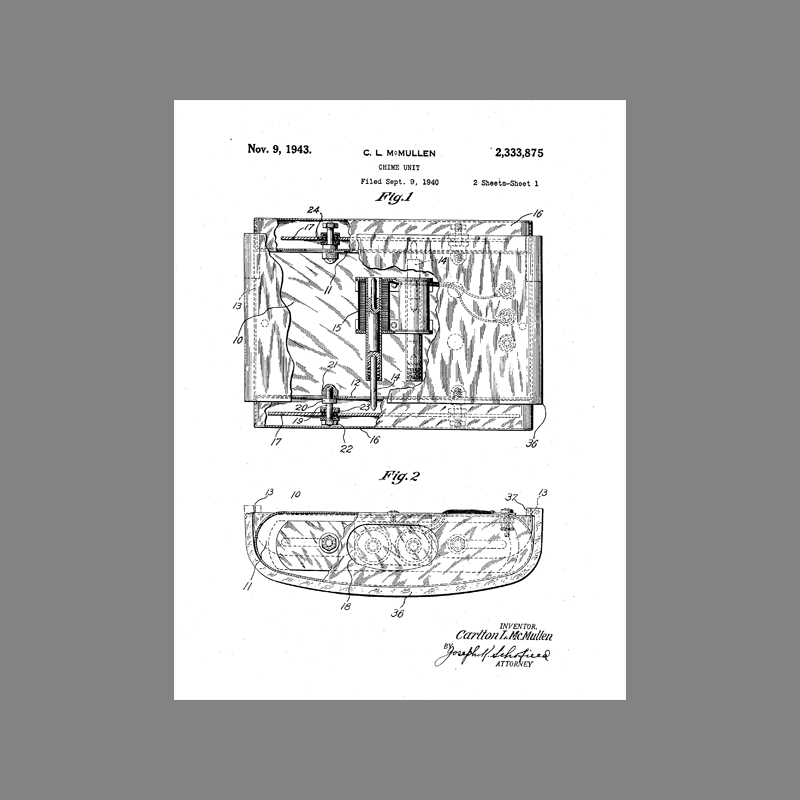 The Carltone Company was short-lived and a minor player, so it’s possible the tooling and intellectual property was acquired by Faraday.